Download the JJR8000 technical catelog in PDF. 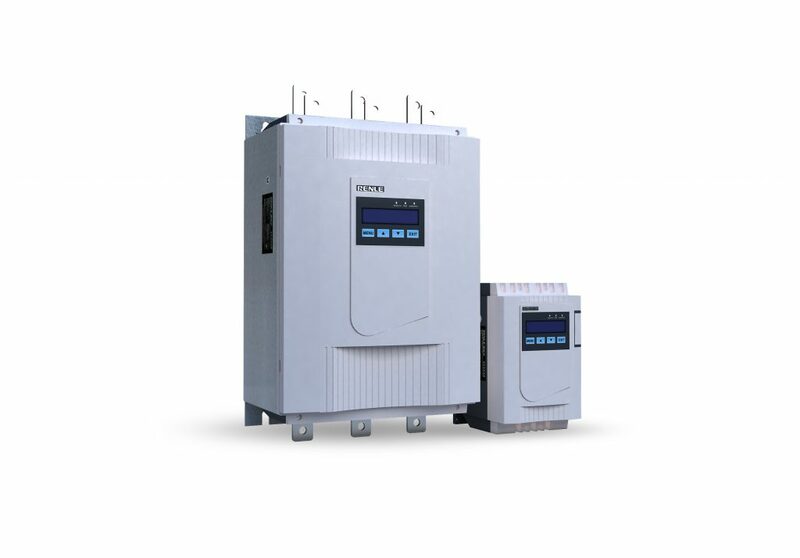 JJR8000 series intelligent motor soft starter is an internationally advanced novel starting equipment which adopts power electronics technology, microprocessor technology and modern control theories and technology. The product is able to efficiently restrict starting voltages of asynchronous motors and is widely applied to heavy-duty equipment such as wind turbines, water pumps, conveyors and compressors. It is an ideal upgrade product of star delta starter, self-coupling reduced voltage starter, magnetic control step-down starter and the like. Directly choose customized parameters by simply programmed type of application loads. Three types of startup parameters are optional for the convenience of one motor soft starter to start different motor loads. During the starting stage, the starter detects the feedback voltage of the motor and realized closed loop control to guarantee successful startup of motors under different working conditions and with different loads. Three starting ways: the ramp voltage start allows maximum output torque; the constant current soft start is able to control the maximum limiting starting current; the direct soft start allows direct start of the motor soft starter. Programmable delay startup mode and programmable interlock control. No phase sequence requirements for input power supply. Digital modification of startup time and stop time is available. Multiple protective functions against overcurrent, unbalance of three phase current, overheating, phase failure, motor overload etc. Dynamic fault memory function makes search for cause of failure easier. Online search for the maximum startup current and maximum operating current is available. Fully dynamic control and monitoring of starter by the site bus makes network construction easier. LCD displays various working condition parameters and provides text suggestions during programming process and under fault circumstance.